American International Group Inc. used more than $90 billion in federal aid to pay out foreign and domestic banks, some of whom had received their own multibillion-dollar U.S. government bailouts. Some of the biggest recipients of the AIG money were Goldman Sachs at $12.9 billion, and three European banks - France's Societe Generale at $11.9 billion, Germany's Deutsche Bank at $11.8 billion, and Britain's Barclays PLC at $8.5 billion. Merrill Lynch, which also is undergoing federal scrutiny of its bonus plans, received $6.8 billion as of Dec. 31. The embattled insurer's disclosure on Sunday came amid outrage on Capitol Hill over its payment of tens of millions in executive bonuses, and followed demands from lawmakers that the names of trading partners who indirectly benefited from federal aid to AIG be made public. Lawrence Summers, Director of the White House National Economic Council, said on CBS' Face The Nation on Sunday that the AIG bonuses were "outrageous… The whole situation at AIG is outrageous. What taxpayers are being forced to do is outrageous." Mark Zandi, chief economist at Moody's Economy.com, agreed with Summers' assessment, though he added, "If AIG failed, it would have been a complete mess." The company, now about 80 percent owned by U.S. taxpayers, has received roughly $170 billion from the government, which feared that its collapse could cause widespread damage to banks and consumers around the globe. In an exclusive interview aired Sunday on 60 Minutes, Federal Reserve Chairman Ben Bernanke spoke with unusual candor of the frustration he felt in bailing out AIG. "Of all the events and all of the things we've done in the last 18 months, the single one that makes me the angriest, that gives me the most angst, is the intervention with AIG," Bernanke told 60 Minutes correspondent Scott Pelley. "Here was a company that made all kinds of unconscionable bets. Then, when those bets went wrong, we had a situation where the failure of that company would have brought down the financial system," Bernanke said. "It makes me angry. I slammed the phone more than a few times on discussing AIG. I understand why the American people are angry. It's absolutely unfair that taxpayer dollars are going to prop up a company that made these terrible bets, that was operating out of the sight of regulators, but which we have no choice but to stabilize, or else risk enormous impact, not just in the financial system, but on the whole U.S. economy," he told Pelley. The $90 billion chunk of the bailout money went to banks to cover AIG's losses on complex mortgage investments, as well as for collateral needed for other transactions. Other banks receiving between $1 billion and $3 billion from AIG's securities lending unit include Citigroup Inc., Switzerland's UBS AG and Morgan Stanley. Municipalities in certain states, including California, Virginia and Hawaii, received a total of $12.1 billion under guaranteed investment agreements. The company said it used billions more to fund its Maiden Lane business, which was set up following the federal bailout to purchase toxic assets, and to repay debt and provide capital for some of its operations. "I've been asking for this information for months. This is a good first step, but I'm concerned by how long it took," said Rep. Carolyn Maloney, who is chair of Congress' Joint Economic Committee. The details from AIG came after Obama administration officials and top Republicans voiced sharp criticism over $165 million in bonus payments AIG said it must make Sunday. The contracts are part of a larger total payout which has been reportedly valued at $450 million. In a letter to Treasury Secretary Timothy Geithner dated Saturday, AIG Chairman Edward Liddy said outside lawyers informed AIG that it had contractual obligations to make the payments and could face lawsuits if it did not do so. Liddy said the company entered into the bonus agreements in early 2008 before AIG got into severe financial straits and was forced to obtain a government bailout. 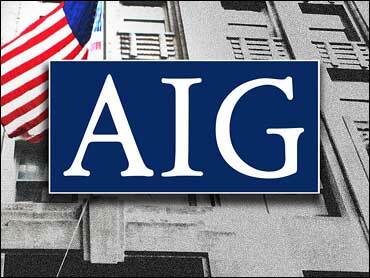 AIG has agreed to the Obama administration's requests to restrain future payments.